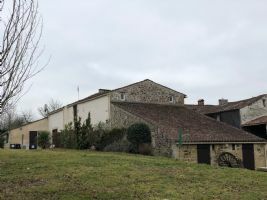 A FARMHOUSE, GITE, APARTMENT + 1.7 ACRES. 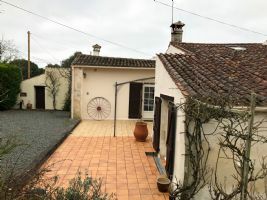 Mervent in the beautiful Vendée region. 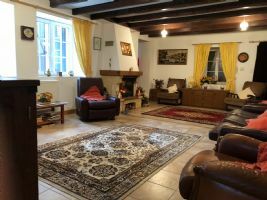 Restored main house with double glazing throughout, oil central heating and septic tank. 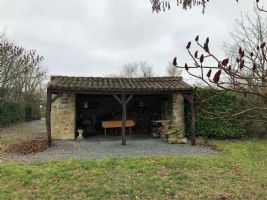 Ground floor : Fully fitted kitchen and dining area, Lounge with fireplace and wood burner, Dining room, Shower room and WC, 2 bedrooms, en-suite shower room. 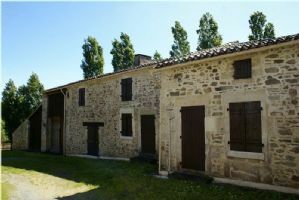 1st floor : Landing, 3 bedrooms, bathroom and WC. 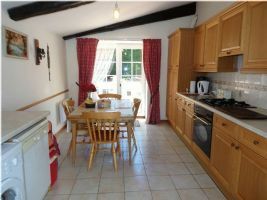 Gite : open plan lounge / kitchen. 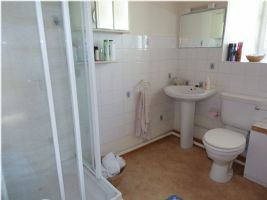 1st floor : 2 bedrooms and shower room with WC. 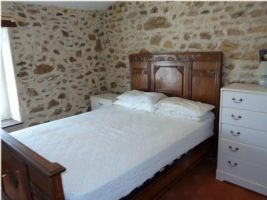 1st floor Studio apartment with open-plan kitchen/living/bedroom, seperate shower room and WC. 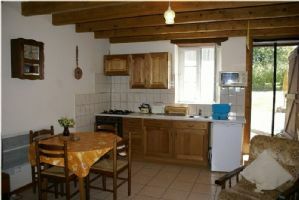 (Below is a Utility room 24.50m² which could easily be converted to extend this studio apartment). 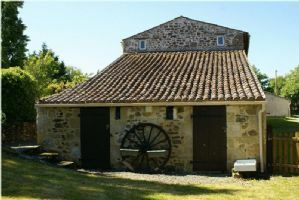 Outbuildings : attached barn, workshop, 2 smaller outbuildings and a detached stone open-barn.